The spectrum is currently being used elsewhere in the world to test 5G. UK communications infrastructure company Aqriva has announced a significant telecoms spectrum licence, potentially signalling a major step forward in research into 5G networks. The company said that it has today acquired additional 28GHz spectrum license from intelligent managed service provider Luminet. The Region A license for 2x 112MHz will cover Central and Greater London. 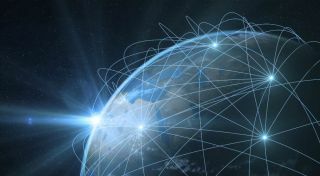 The news is particularly interesting as the spectrum covered is the standard band currently used in the United States, Japan and South Korea to test 5G connectivity. The trials are focused on Fixed Wireless Access (FWA). The next step in making 5G a reality in the UK is the completion of Release 15 by the 3rd Generation Partnership Project (3GPP). This is expected in March 2018. Nicolas Ott, managing director of telecoms and M2M at Arqiva, commented: “5G connectivity is a highly debated topic, especially with regards to what it will deliver and by when. However, the FWA component is set for a head start thanks to the drive from major global fixed line and mobile operators as both a substitute and a companion to traditional fibre services. 3GPP certification is critical to achieving global acceptance. Arqiva will conduct its first field trial for 5G in London this summer.